You see, at my office, if a food item contains any of these four ingredients: Cheese, Chocolate, Cool-Whip or Barbecue – it’s gone. Demolished. So while someone very kindly thought to share the lovely little oranges, they met a sad, rotting fate with my crew. I didn’t make any New Year’s resolutions other than mulling over an epiphany that happened several weeks prior: stop waiting. You see I was thinking that (soon) things would slow down (they won’t). Soon I’d have time (no more than the 24 hours we all get every day). Soon things would ease (not likely). So quietly and calmly, just before Christmas, I made a decision and it was this: do one thing – just one – act of kindness every day – for myself. It wasn’t made in a manic, frantic racing around moment. It was a quiet and gentle urging: you deserve care, too. The Holidays were super-fun, we had the monkeys (grands) for several sleepovers and thoroughly enjoyed ourselves and them. But we also snorted how glad we were that we had our boys when we were much younger. Those kids are busy, with questions and concerns, and interests and things to say. Love them. I took naps. I read. I dropped out of contact for 24+ hours. I spent time with Hubbs and time without him. I went out with friends, talked on the phone and slept in. I ate when I was hungry, and didn’t when I wasn’t. I listened. Before I went back to work, I spent Sunday cooking — a roast beef dinner for hubbs, roasted vegetables, salads and chicken for me. I packed my lunch, went to bed early, and left the office for home before dark. And when I left, I turned off my cell phone. These all seem like very basic things but I am here to tell you they’re not, at least for me. Disconnecting at the end of the day has allowed me to lean into my evenings. Tuesday, I repeated what I’d done on Monday. Planning the same for today – revolutionary! Simple. Profound. And why didn’t I do it sooner? At 52, I guess I ‘m still learning that I want the best of me, not just the rest of me. Can you relate to this? 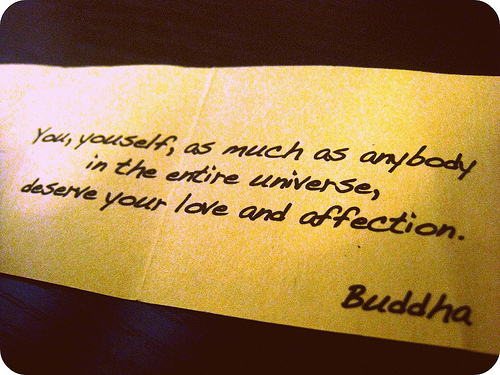 Are you capable of giving yourself love and affection, too? What lesson has taken you years to learn? That’s a lovely non-resolution, MJ! I think that is going to work very well for you this year! I think it’s taken me a long time to learn that I shouldn’t always give so much thought to what others think about me. But I’m still in the process of learning that one! I found that if I take my knitting into the living room during “watching tv time with hubby”, I got a good 2 hours of knitting while my husband flicked through channels. It was a win-win. Time with hubby and cat didn’t know I was knitting. Calming. I remember my grandma getting her yarn projects out and she was in her glory. I love that you’re taking more time for yourself. And shutting off the cell phone after work must be so liberating. Sounds like a wonderful time with the grands, and freeing to be able to give them back when your time with them is over. I look forward to that time in life. Still in the thick of it here. Happy New Year! When I worked I would come in early hoping to get some things done before people start calling. Most times I’d find a line already at my door as if I was giving out cheese Danish. I joked about getting a numbering system. They kept coming. I stopped coming in early. People had to be in meetings or somewhere else by 8 so I found that they would visit me with their issues sometime during the day and I would be able to take off my coat and drink a sip of coffee without someone in tears at my desk. That’s what worked for me. I’ve been retired for 4 years and I didn’t have a smart phone then so I was at least spared the constant barrage that brings. However, I was called when I was in Vegas at a convention (on my flip phone) to solve a sticky employee issue because no one else wanted to take responsibility for the decision. Despite all this, I loved my job. I just liked to deal with conflict AFTER my coffee. Good for you, MJ! It always seems like we never make time for our self. I have always wanted to put other people first and me last. That can be good and bad at times. It seems like I might be doing better at it sense I retired, but still a work in progress . I am so often inspired by the things you write. While this is the time of year when we all strive to make ourselves better, I think this time in our lives, this particular age, makes us think big-picture on a regular basis. It’s so easy NOT to take care of ourselves and focus instead on everyone else. But you’re right. It’s important to care for ourselves. Otherwise, we won’t be able to keep up the pace in caring for others. As for what has taken me years to learn … look for the silver lining. It’s not always going to be obvious, but it’s often there.